In a Nutshell: Many retailers have phased out print catalogs in favor of websites and mobile marketing during the digital transformation. But statistics show that consumers still look to catalogs for brand recognition and to guide online purchases. 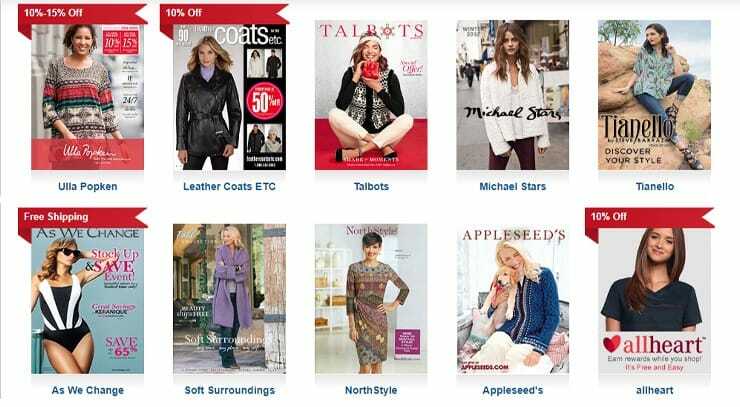 Catalogs.com, a shopping portal for print catalogs founded in 1996, innovated DYNALOG technology in 2015 to digitally augment the catalog experience for consumers. DYNALOG integrates the engagement of a catalog with the immediacy of digital marketing, enabling hundreds of top retailers to increase audience engagement and inspire discovery shopping. American consumers have gravitated to the glossy pages of print catalogs from the first Tiffany & Co.’s Blue Book to the iconic Sears Roebuck Mail Order Catalog. But the bulky, full-inventory catalogs — familiar to even the youngest shoppers — are a thing of the past. Over the years, many brands phased out print catalogs to cut costs and cater to growing online audiences. But retailers like JCPenney and Lands’ End soon realized that catalogs still play an important role in the customer journey — even for consumers who shop online. Leslie Linevsky, Co-Founder of Catalogs.com, spoke with us about the importance of dynamic digital catalogs. Research shows that 31% of consumers still use print catalogs while shopping online, and 86% of women ages 18 to 30 have purchased an item after seeing it in a catalog. Consumers say catalogs give them a stronger sense of brand identity and improve their impression of retailers. Catalogs also encourage the discovery shopping effect that leads to packed online shopping carts. Retailers aren’t bringing back their bulky, mass-mailed catalogs, the research firm reports. Instead, they’re creating and testing out smaller, targeted versions designed to fuse consumers’ affinity for the catalog with their use of digital shopping channels. Other brands lament the inability to track ROI from print materials the way they can on digital channels. For Lexington Home Brands, both the cost of print and the difficulty of determining catalog engagement were key obstacles for its Tommy Bahama Home collection. The company deployed Catalog.com’s DYNALOG platform to offer interactive, visually rich catalogs, gather analytics, and increased customer engagement by 50%. DYNALOG technology brings the best of the catalog format to e-commerce, mobile, and social, helping retailers maximize marketing efforts while creating better omnichannel experiences for customers. “It’s another way for a consumer to shop on a website instead of just a keyword search. It allows them to expand and discover other products and shop in a comfortable, familiar way. That’s why so many verticals are using our technology,” Leslie said. After selling their first successful e-commerce venture in 1996, Richard and Leslie Linevsky saw the need for an online index of print catalogs that shoppers might not know about — or have access to. The couple launched Catalogs.com as a shopping portal for catalog companies that originally featured 19 retailers. That shopping portal has grown to 700 contracted clients in 35 verticals and now sees between 400,000 and 750,000 customers each month — providing direct lead generation for featured brands. Catalogs.com has a vast selection of print catalogs and has shifted focus to digital versions with its DYNALOG technology. In 2015, Catalogs.com released a proprietary digital catalog platform, called DYNALOG. DYNALOG uses web-based technology to create digital catalogs from the products on a retailer’s website instead of just converting a print product to digital. The result is a rich, interactive layout that integrates easily with existing digital marketing tools. The team at Catalogs.com works with clients to create DYNALOGs through a turnkey process that doesn’t require brands to have in-house graphic design expertise. “Our account executives reach out to brand marketing executives or directors of e-commerce. When they decide to use our platform, our team in Ft. Lauderdale creates the DYNALOG for them. We pull the data from their site, populate the DYNALOG, merchandise it, and make it look beautiful. Overall, the client doesn’t have to lift a finger,” Leslie said. Over 200 of the company’s existing clients — along with retailers and clients in college bookstores, real estate, and automotive verticals — have adopted the DYNALOG as part of their promotion, branding, and marketing strategies. A DYNALOG is web-based, but its features and capabilities retain the advantages that keep print catalogs popular among consumers. On a standard website, customers view one product at a time, while a catalog page showcases several items — or even an entire category of products. Items displayed in context inspires the discovery shopping most common in retail stores, a phenomenon e-commerce tries to mimic with suggested or related item links. DYNALOG’s format motivates discovery shopping and links seamlessly with e-commerce. With the platform, Lexington Home Brands can display Tommy Bahama Home products in vibrant room settings, yet link individual items to web pages for online sales. The company reports that three out of every four DYNALOG users click through to a company’s website. Another advantage of DYNALOG is that, unlike a print catalog, it can be linked to Google analytics so marketing teams can view results such as catalog and page views, click-through-rates, and overall engagement. With these numbers, retailers can accurately gauge ROI and maximize campaigns. DYNALOG provides retailers with a suite of marketing tools that integrate with their existing campaigns, whether through websites, social, email, text, or even print materials. Each DYNALOG contract includes a mobile-friendly catalog that allows brands to follow up with prospective clients through their devices and launch text campaigns that give consumers access to an entire digital catalog from any location. 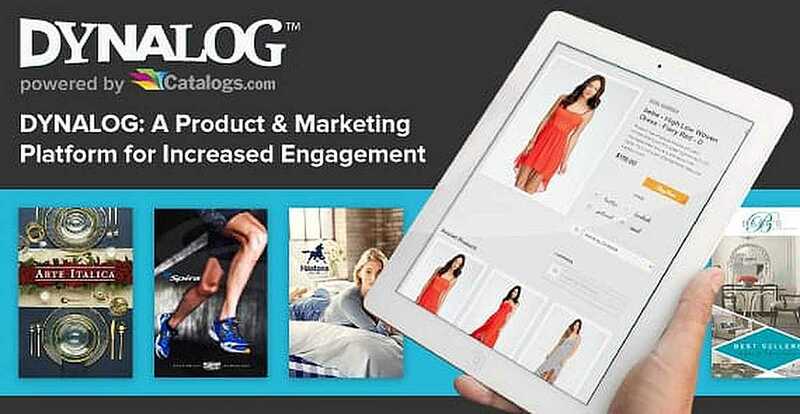 DYNALOGs integrate with Facebook or Instagram business pages and are optimized for web or mobile. The team also designs in-store kiosks and e-mail catalogs. “We do custom email templates once a month at no extra charge for every company that purchases a DYNALOG. Anywhere a consumer clicks, it will automatically launch DYNALOG, unlike an email that just takes a consumer to the landing page of one product,” Leslie said. DYNALOG reaches consumers no matter what device they’re using, extending a retailer’s marketing reach. Many verticals — such as real estate — still rely heavily on printed materials like business cards, postcards, and signs, and DYNALOG codes can be included on those materials to direct consumers to full product listings. 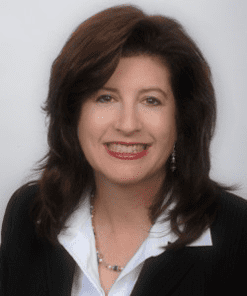 “Using keywords, you can base it on different property types and price ranges,” Leslie said. DYNALOG doesn’t replace digital marketing tools — it integrates with them to strengthen their effectiveness and offer an omnichannel experience for consumers. Lexington Home Brands is one of the hundreds of companies that benefit from DYNALOG’s marketing applications by deploying the platform through its websites, display ads, social media, and email campaigns. While companies are slowing their production of print catalogs, consumers still crave the engagement they inspire. The Linevskys designed DYNALOG with existing retail vertical clients in mind, but over the last few years, they’ve discovered growing applications for the technology in real estate and the auto industry. 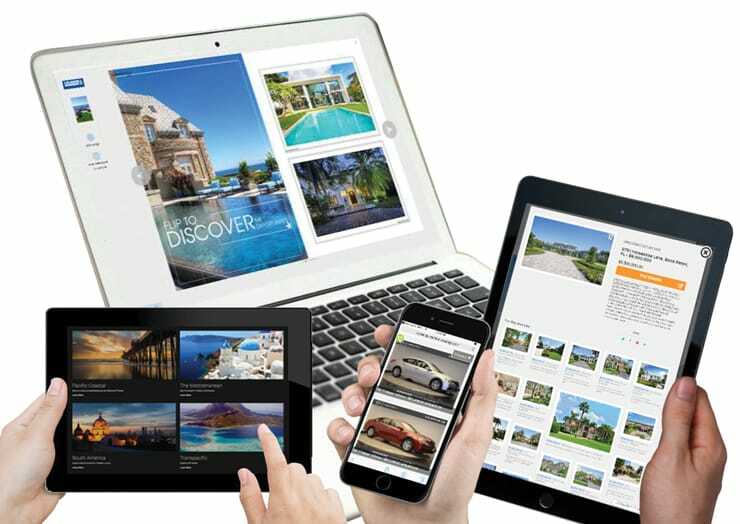 Catalogs.com continues to innovate DYNALOG technology to stay on top of e-commerce trends and integrate with digital marketing tools. In the process, the company helps retailers capitalize on the engagement and discovery the catalog format delivers to the consumer.